This month we’re celebrating all things awareness when it comes to IBD – symptoms, living with Crohn’s disease or UC, explaining your condition to your friends and family, and more! Awareness has many facets when it comes to IBD and we want to hear from you about what IBD awareness means to you! Most IBD awareness is focused on the community of people who are not living with IBD day to day. Educating and informing those around you can help to alleviate the isolation you feel in small ways and can empower your friends and family to support you when you’re in need. How do you balance education and privacy when it comes to loved ones, colleagues, or friends? Though most awareness efforts focus on those outside the community, it can be just as important to continue educating ourselves about what it can mean to live with Crohn’s disease or UC. 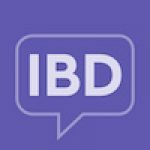 Every person’s experience with IBD is unique and while our experiences may not mirror another’s, it can be helpful to hear from others, stay current on new research, and even to delve deeper into what our own journey is like. One of the most frustrating and difficult awareness gaps is the one that exists between those living with IBD and their healthcare professionals. Doctors span the gamut when it comes to awareness of Crohn’s disease and UC and offer very different support when it comes to their patients. It can be incredibly valuable to find a doctor who understands your condition and who will advocate for you. We are big fans of awareness and education here at www.InflammatoryBowelDisease.net but we are also well aware of the need for support when you are living with IBD. How do you balance education and the need for support and where do you go when you’re in need of support? Everyone is unique when it comes to living with IBD but we also see some common threads when it comes to what we all wish others knew about our experiences. Whether it’s IBD symptoms, living with a chronic illness, or what exactly IBD is, we all wish those around us were better versed in the impact of inflammatory bowel disease.